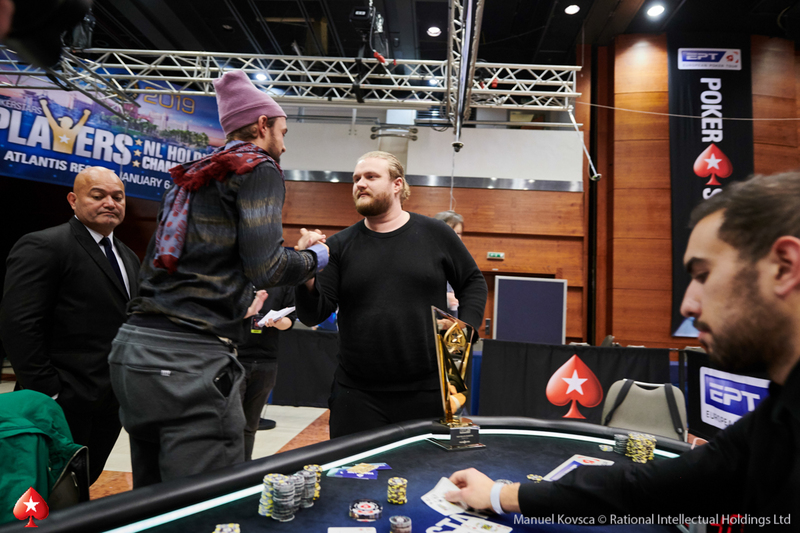 After almost three hours of heads-up play, Henrik Hecklen defeated Ole Schemion heads-up to win the PokerStars European Poker Tour Prague €10,300 High Roller for €503,700. 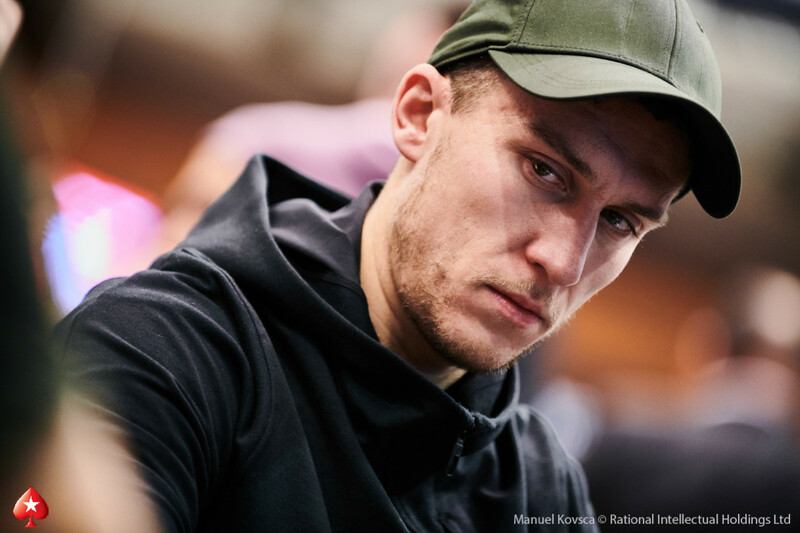 Fresh from a 23rd place finish in the EPT Prague Main Event, Hecklen navigated his way to the top of the 259 player field to walk away with the biggest live cash of his career. The heads-up can only be described as an arm wrestle, with neither player managing to strike a decisive blow. That was until shortly before midnight when Hecklen's queens held to send runner-up Ole Schemion to the rail for a €334,900 payday. "You shouldn't look at two tournaments in correlation with each other," Hecklen told PokerNews after clinching victory, "But now that the Main Event didn't really work out it's nice to have this sort of consolation prize, and it's a good one obviously." 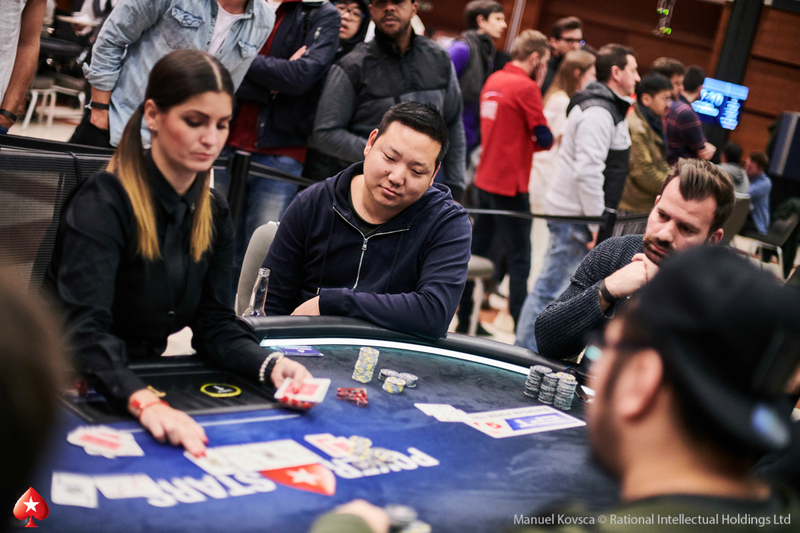 The final day started with a packed field, featuring the defending champion from PSC Prague in 2017 Danny Tang, winner of the EPT Barcelona festival-ending €10,300 High Roller Max Silver and former EPT Prague champion and overnight chip leader Jasper Meijer van Putten. "You always have your chances, right? You don't plan for anything in tournament poker." There was no real clinching moment heads-up, and with both players deep they were able to take their time at the table. "It was quite tough because there weren't that many showdowns so it was kinda hard to figure out what [Schemion] was doing but overall I think he played really well. It was a tough one. 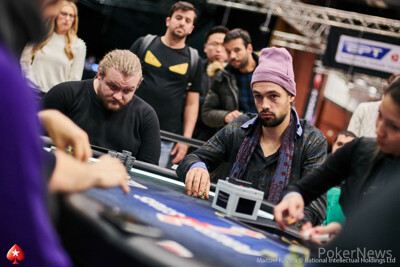 "My background is in deepstacked cash games and heads-up, I think the structure was very favourable for me. It was certainly better than 20 big blind shoving poker. It suits me very well for sure. The day started with the eliminations of Serdar Dermican and Charlie Carrel who brought the field down to the final two tables. Jasper Meijer van Putten still lead, but Daniel Dvoress was making up ground, especially with the elimination of Hon Cheong Lee. Van Putten's stack would dwindle, but he would soon move back to the top of the chip counts with the elimination of Bahram Chobineh, but back came Dvoress who lead at the first break. Triple Crown winner Niall Farrell would bust in 11th, with Max Silver out in tenth to bring it to the final table. Just before that, Frenchman Alexandre Reard would double through Van Putten whose turbulent day continued, and it was Reard occupying second place behind Dvoress at the start of the final table. However he was soon overtaken by Henrik Hecklen who moved into the chip lead after rivering a straight against Reard, and once Reard doubled through Anton Yakuba, Dvoress finished off the Russian who bust in ninth. 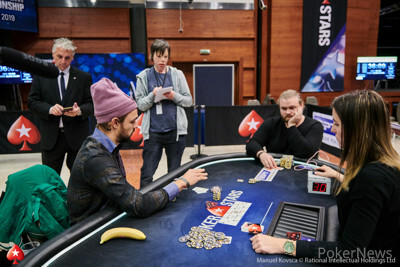 Tomas Paiva doubled through Ole Schemion, with Dvoress moving up to around four million in chips. Michael Addamo would then double through the Canadian before a flurry of exits. The Australian went first, shoving ace-king into the eights of Hecklen who then flopped a set. Then Van Putten, who had been involved in very few pots at the final table, shoved ace-three into the king-ten of Hecklen, who then turned a straight to bust the start-of-day chip leader. Then, to finish off 15 minutes of madness, Paiva's nines were finished off by the queens of Hecklen who had in the course of those three eliminations chipped up to over five million in chips. A quick finish looked in the offing, but former PSC High Roller champion Danny Tang doubled twice; through both Reard and Dvoress, to stick around, before Hecklen added his fourth elimination in a row as Dvoress hit the rail in fifth. It was then Reard's turn to double three times as he recovered from a five big blind stack to over 40 big blinds, with Tang heading in the other direction. He was next to bust in fourth before a stunning hand eliminated Reard in third. Reard had flopped a set and check-called all three streets, only for opponent Schemion to have rivered a straight and bust the Frenchman in third. Heads-up play started with Schemion at a chip disadvantage against his Danish opponent, who was on a roll after so many consecutive eliminations. However that soon disappeared, and indeed it was Schemion who looked likely to pull away. The German recorded two doubles during heads-up, but never quite managed to extend the chip lead to such a point as it looked like he might clinch it. As it happened, the pendulum swung the other way and Hecklen soon got things back to how he started heads-up play. After one hand where Schemion spiked a three-outer on the river to stay alive and deny Hecklen, the Dane wasn't going to let the next opportunity slip out of his hands. So when he picked up queens, they got in. They held. 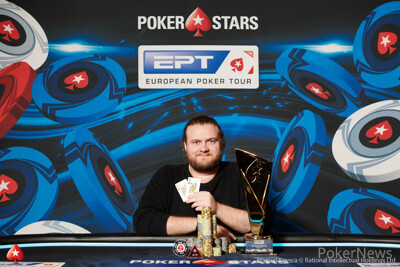 And Hecklen became the latest EPT High Roller champion. Ole Schemion called on the button before Henrik Hecklen raised to 550,000. Schemion sat silent for 15 seconds before he moved all in for 4,700,000 and was snap-called. Schemion had run into Hecklen's monster with pocket queens and needed a lot of help to survive. 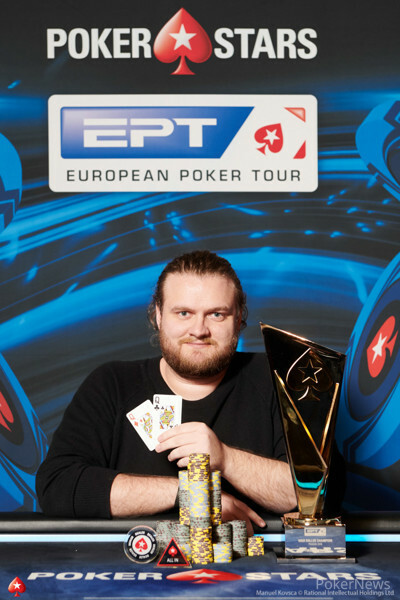 But the board ran clean for Hecklen, ending the hand with two pair and was crowned the €10,300 EPT Prague High Roller champion for €503,700. 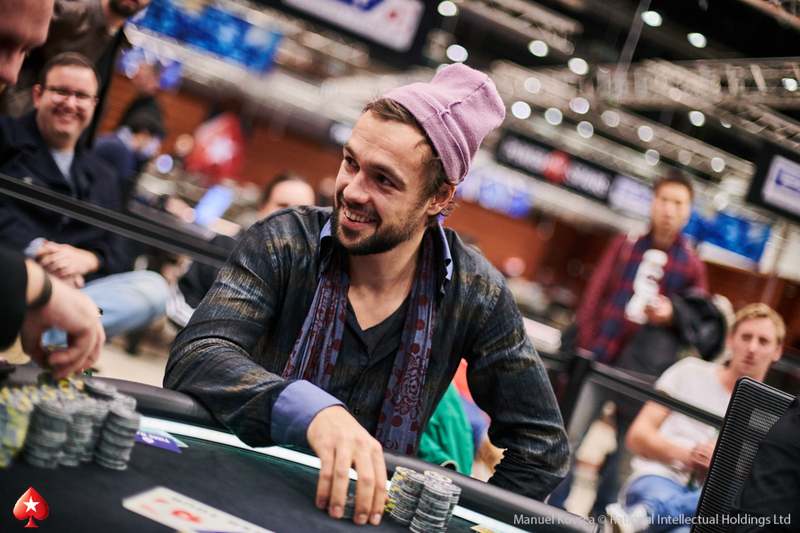 Schemion takes away €334,900 as runner-up. A full recap of the final day's action will follow shortly. Henrik Hecklen raised to 325,000 and Ole Schemion called. The flop came and both players checked. The turn was the and Schemion bet 450,000 and Hecklen called. The river was the . Schemion bet 1,100,000 and Hecklen called. On the very next hand Schemion raised, Hecklen moved all in and called. The flop came with Hecklen now having one hand on the trophy and over €500,000 in prize money. The turn was the but the river gave Schemion a pair and he survived to double up his 2,760,000 stack. Ole Schemion raised to 275,000, and Henrik Hecklen called to see a flop. Hecklen check-called a 210,000 bet before both players checked on the turn. The river was the , and Hecklen shoved. Schemion thought for 45 seconds and called. Hecklen held for a pair of sevens, and Schemion took the pot with for second pair. Henrik Hecklen opened to 275,000 and Ole Schemion called. The pair checked the flop and turn, with the coming on the river. Schemion check-called 300,000, but mucked with Hecklen turning over for a pair of sixes. This constitutes the lowest number of chips for Schemion during this heads-up contest so far who come into heads-up with 3.6m to Hecklen's 9.3m. Ole Schemion raised to 275,000, and Henrik Hecklen called. The flop fell , and Hecklen check-called a 305,000 bet. The turn was the , and Hecklen checked again. Schemion proceeded to bet 760,000 from his 2,100,000 stack and Hecklen moved all in. Schemion started to count his stack and went into the tank for 30 seconds before he called. Schemion has ahead with against , but the river ensured the pot would be split between the two players. 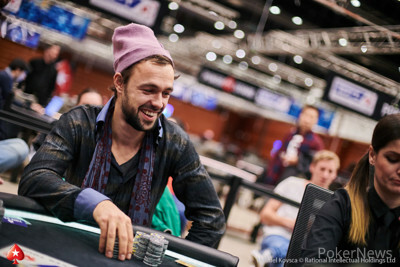 Henrik Hecklen check-called 300,000 from Ole Schemion on the flop and the turn was the . Both players checked. The river was the and Hecklen bet 625,000. Schemion called. Hecklen flashed but mucked when Schemion showed for bottom pair, which was good enough to take down the pot.